Bryan Loveless And Associates - We Specialize In Waterfront Properties In Kirkland! We are proud to serve the Kirkland area, and love helping people find their dream homes. We have extensive knowledge of the beautiful waterfront homes in this area, and would love to help you with buying or selling your home. Committed to his community, Bryan has a long history of volunteering in the Kirkland area. He has donated countless hours of his time coaching youth baseball teams, organized a community sponsorship program for the North Kenmore Little League, supervised the renovation of Forsgren Park (earning him the NKLL Volunteer of the Year Award), raised over $2M for a local sports field development, and worked as the Northshore Youth Soccer’s VP of competition scheduling fields for 5,500 local youth soccer players. Bryan is also a large contributor to the Windermere Foundation – a non-profit organization that supports local charities by providing resources for low income & homeless families in their quest for safe housing. Bryan is committed to the Kirkland area and would love to become your realtor! 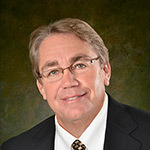 Bryan Loveless has been selling real estate full time in the immediate area since 1983. His extensive experience has made him well versed in the sales & marketing of residential homes, commercial/industrial properties, and land development projects. Bryan’s wealth of experience and his commitment to his clients has lead him to earn his designation as a Certified Residential Specialist—an elite credential held by fewer than 4% of all Realtors nation wide. Bryan prides himself on his reputation as an excellent negotiator & strives to provide his clients with the utmost in top-quality professional representation. Throughout his career he has always specialized in sales - consistently ranking in the top 5% of business volume at every company he has worked for.